The electrical industry is constantly changing, but the days of upgrading from fuses to breakers and knob-and-tube to Romex cables are quickly fading to a different sort of upgrades. Don’t get me wrong, there are still plenty of wiring updates in the industry, but the whole concept of access to electricity is changing. We are more dependent on electricity than ever, but we also have more ways to access it, and our access is getting smarter. The job of the electrician is broadening to one of smart technology and energy savings. It is a move that will gain momentum as the changes become more mainstream. It is also a move that will require the consumer to be a little savvier about what they have, as the options make knowledge about every possible device nearly impossible. Smart grids are making energy more affordable and more dependable. The affordability comes from being able to use the entire grid in a smart manner. For instance, during peak energy use periods, the smart grid can route power to where it is needed, which will avoid brownouts in large cities. 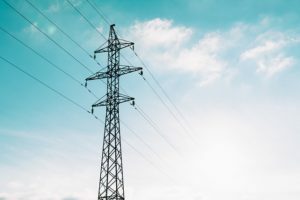 Microgrids can also be used by communities during peak periods to generate their own power to supplement the cost of electricity during peak usage hours (generally daylight hours). Having more control over the grid will allow for smart, efficient usage. It will also avoid costly disturbances that are at risk of occurring with our current, outdated grid. With smart grids come smart meters, which allow power companies to read meters remotely and supply that information to the power company. The controversies regarding these devices concern personal information privacy, health concerns, and the elimination of meter reader jobs. Many of these are labelled urban myths by proponents, but there are some undeniable benefits. For example, you can login to your account and see real-time energy consumption data. You can also receive alerts if your energy consumption reaches a level that exceeds your budget. A smart meter can also be integrated into alternative energy sources, so you can sell energy back to your power company through solar panels, for example. Whether they invade personal privacy or not, smart meters are here…or they are coming. 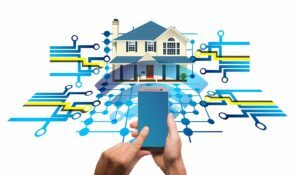 Voice activation and motion sensors are only the tip of the iceberg when it comes to smart home. The energy consumption of large appliances is a newer technology available, and smart hubs or voice-activated speakers are useful but complicated additions. Real life is getting to the point of science-fiction with Wi-Fi controlled toasters and other appliances. The reason this changes the electrical industry is that is complexifies the knowledge needed to troubleshoot. No longer can a heating and air conditioning specialist limit his or her scope to the furnace. This is because the furnace may be controlled from a smart speaker or smart phone. The transition to light-emitting diodes (LEDs) is well-known and pretty much mainstream now. This has created a lot of work for electricians, which is a good thing, as they install led fixtures. Many led lighting systems are also smart systems, so there is integration with other smart home systems involved. People are very interested in their energy consumption, and alternative energy is more than just a buzz word. It is becoming a way of life. Reducing your carbon footprint is becoming more than a socially responsible endeavor. It is now an Earth-saving endeavor. This is why more people are relying on alternative energy in the home, such as solar power. Additionally, science is making alternative energy more affordable and more efficient, so it is easier to rely on this technology. Lastly, people now need to be able to charge their cars from their home if they have EVs. While many people don’t drive EVs yet, they are sure to become the primary type of vehicle driven within the next decade. This means the addition of charging stations in as many places as there are gas stations. Charging stations can be set up in public locations but they also need to be installed in the garage or at a convenient location where your car can charge at night. We are in the Iot, or the Internet of Things. Everything is connected, and for it to work, it must have electricity. As technology advances, the Internet of Things brings great conveniences to average consumers, not just the rich. It is becoming a new way of life. When you walk into your home, you now have the option of having lights turn on automatically only when you are in the room, and your heat will adjust based on occupancy. In the background, your meter will measure your energy consumption, and your power company will adjust your rate based on how much energy it gets from your alternative sources. The landscape of electricity is changing, and it is getting more convenient and more efficient.